Does Pool Temp Really Matter? For several years it has been argued that the Emerald Lakes Association could save a significant amount of money by lowering the temperature of the indoor pool. It was said that reducing the temperature from 84 degrees to 80 would save on both fuel and chlorine. Some of these arguments occurring during monthly open board meetings became quite heated. What are the facts? Here we present a comparison of the first four months of this fiscal year with the same period last year. These numbers seem to indicate that pool temperature has a negligible effect on costs. While the higher number for the lower temperature may be the result of some intervening variables, there is little evidence that any important savings can be had by reducing the temperature by 4 degrees. Yet those who use the pool for such activities as Adult Water Aerobics say the difference in comfort level is significant in a negative way. Simply put, 84 feels comfortable, 80 feels uncomfortable. The United States Water Fitness Association recommends a water temperature of from 84 to 86 degrees for multi-purpose indoor pools. 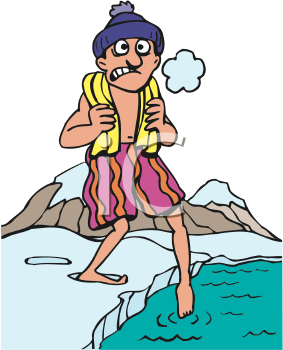 It’s hard to explain to pool users who complain of the colder temperature that they must endure it to save the association money. Perhaps it’s time to return to the higher temperature rather than aggravating a significant number of users for no defensible reason. Posted on October 14, 2012, in ELA Events and tagged Emerald Lakes, Emerald Lakes Association, HOA, Homeowner's Association, Swimming pool, Temperature. Bookmark the permalink. 7 Comments. A comparison of ambient temperatures and cost of heating and pool chemicals must be included; the study is incomplete. do you have the exact number of people that do use the pool for awa? It appears that having the pool temp higher costs less. Or is the price of oil that much higher this year? @nuncaviviramedias-thiose are the ‘intervening variables’ to which we allude. This was not meant to be a scientific study but rather a gross comparison of costs. We didn’t think those variables would have a robust enough effect to show a statisically significant difference, positive or negative, even if considered. On the other hand, if you believe a more detailed study would prove worthwhile, be our guest. We’d love to see what you come up with. Given that these are costs for May through August, we can presume that the bulk of the heating oil costs are for the pool water (since there would be little heating in the CC itself). It also seems likely that this would be the cheapest time of year to keep the pool heated. So, can we presume that the pool costs the community about $50k per year? Too warm, too cold, for about $33 per home per year, it still seems a bargain. On the other hand, the cost per use (considering how empty it always seems to be to me) is very high. Either way, it is a number worth thinking about. One shouldin’t base the comparison solely on costs. The first measure of comparison should be the quantity of chemicals and heating fuel used during each period. Figure given at last Board of Directors meeting that 400 used the pool in the last month.